It's fair to say that gamers of a certain age have a very unique bond with Capcom's Street Fighter II. Upon its initial arcade release in 1991 it was instantly hailed as a coin-guzzling classic, and kick-started a one-on-one fighting game revolution which would last for the majority of the '90s. Securing the first home conversion was a vital coup for Nintendo and the SNES port would become an entry point to the franchise for millions of players globally. Capcom knew it was onto something and milked the title for all it was worth, giving us Turbo, Super and Super Turbo in quick succession. In the years that have followed we've seen numerous sequels and spin-offs, but it's clear that the second Street Fighter title is always going to have that special edge, at least with veteran players. That point alone makes Capcom's decision to produce another update of the title for the Switch seem sensible; it's also a neat callback to the history of the franchise, which owes so much to that timely SNES port. An entire gaming generation got to know Ryu, Ken, Chun-Li and Guile on Nintendo hardware before moving onto the likes of the PlayStation, Dreamcast and Xbox 360, so with Ultra Street Fighter II: The Final Challengers it feels like we've come full circle. 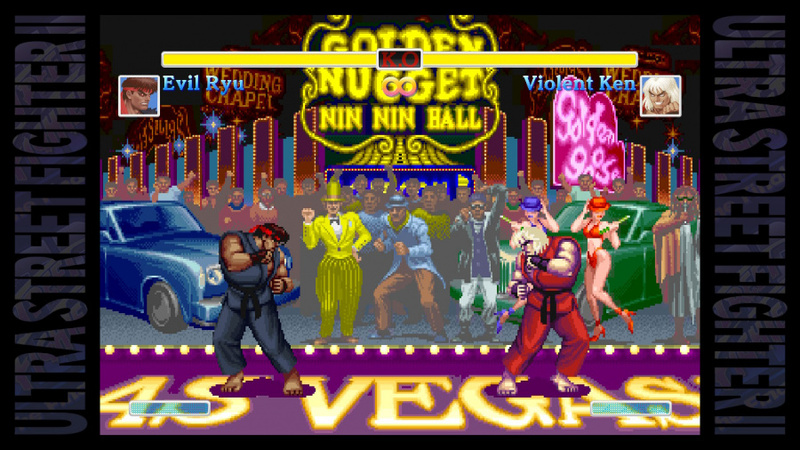 In case you weren't already aware, Ultra Street Fighter II is yet another update of the original game, based largely on the Super Street Fighter II Turbo iteration from 1994. It boasts HD visuals (taken from the digital release Super Street Fighter II: HD Remix) but the core gameplay has been retooled by Capcom itself, rather than Backbone Entertainment, the company behind the aforementioned 2008 game. Local multiplayer and online modes are included (sadly the latter isn't active at the present moment in time so we've not been able to test it), while two new characters have been added to the roster in the form of Evil Ryu and Violent Ken. They may sound like a particularly poor superhero duo, but to be honest they don't feel like fresh additions; both have previously appeared in other titles and they naturally control very similarly to their non-possessed counterparts. It would have been nice to see some genuinely new combatants added to the cast. 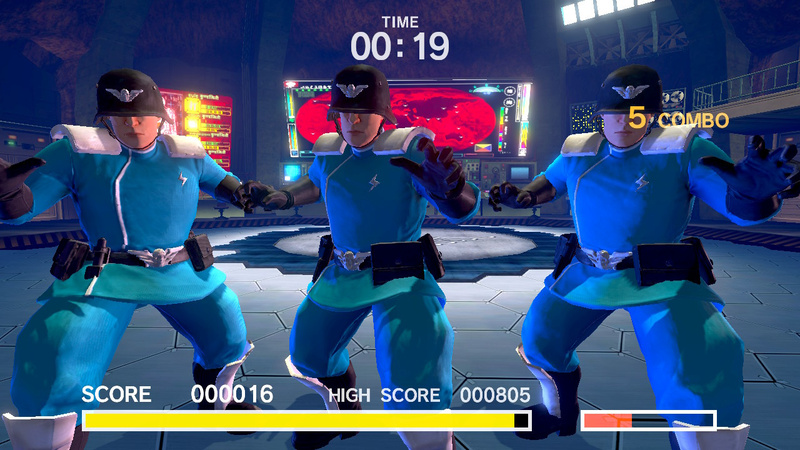 Outside of this, we have a new buddy mode where you can team up with a second player (or the computer) to fight a single opponent - again, this doesn't feel all that "new" as it was previously showcased in the Street Fighter Alpha series. A gallery mode comes packed with gorgeous HD artwork from the entire Street Fighter universe (sadly the Switch's screenshot button is disabled in this mode so you can't share any of it on social media), and there's a training mode to assist you in honing your pugilistic skills. 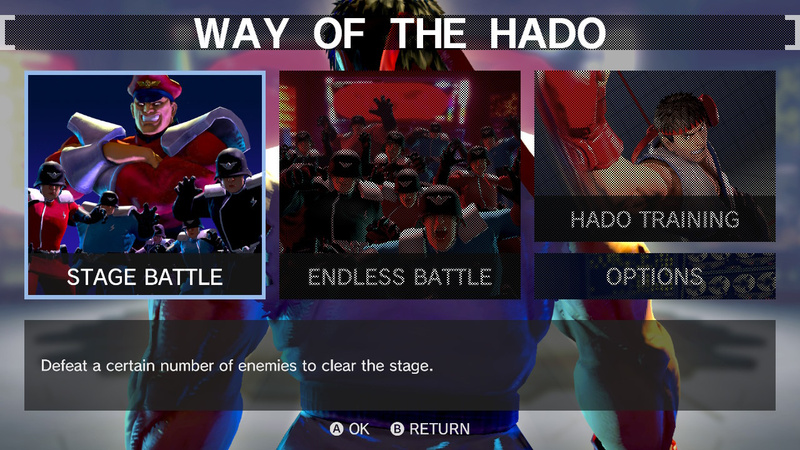 None of these features will be particularly surprising to anyone who has played a fighting game from the past decade, but the all-new "Way of the Hado" mode is a drastic inclusion, offering a first-person viewpoint on the action and tasking you with using motion controls to unleash special moves. Early video footage appeared to confirm our worst suspicions about the controls being a bit of a gimmicky mess, and now we've had chance to sample it properly it would seem those fears were well-founded. The most positive thing we can say about the Way of the Hado mode at this juncture is that the 3D visuals are excellent - in fact, it makes you wonder why Capcom didn't consider porting Street Fighter IV to the Switch instead, as that title would arguably have had more impact from a purely visual perspective. The option to toggle between HD and classic graphics will be a boon for those of you who prefer the original pixel artwork to the new-fangled visuals. Sadly this cannot be done in the middle of a game, like it can in Wonder Boy: The Dragon's Trap; you have to drop back to the main menu and enter the settings (it's also possible to select the original music and vocals, if you so wish - or mix up the two with modern visuals, old audio, and vice versa). The HD artwork - supplied by the highly respected Udon Entertainment - is great, and when playing with the updated graphics you benefit from a widescreen view of the action. The biggest issue is that while the HD art looks crisp, the animation hasn't received the same upgrade; as a result, the game resembles a fan-made browser-based Flash title at points. This will clearly be a matter of personal taste as there are many who vastly preferred the graphics in 2008's HD Remix over the originals, but it's a shame that Capcom couldn't have added in more frames of animation to smooth things out, especially as modern development tools can make the process a little easier. We'll save any other critical thoughts for the upcoming review, but at this stage it's impossible to not feel a pang of nostalgia for Ryu and company, despite the fact that there are probably undiscovered tribes in the Amazon rainforest that are sick to death of Street Fighter II. Once again, the Switch's ace in the hole is the fact that it has two controllers and can be played anywhere there's space to pop out that kick-stand and place it down; like Super Bomberman R before it, Ultra Street Fighter II is a title which is perfectly suited to impromptu multiplayer matches with friends or (if you're feeling brave) complete strangers. Unlike so many other examples of the one-on-one fighting genre, there's a familiarity with Street Fighter II which means most casual gamers at least know Ryu and Ken's move-sets, so the potential challenger base is much larger. 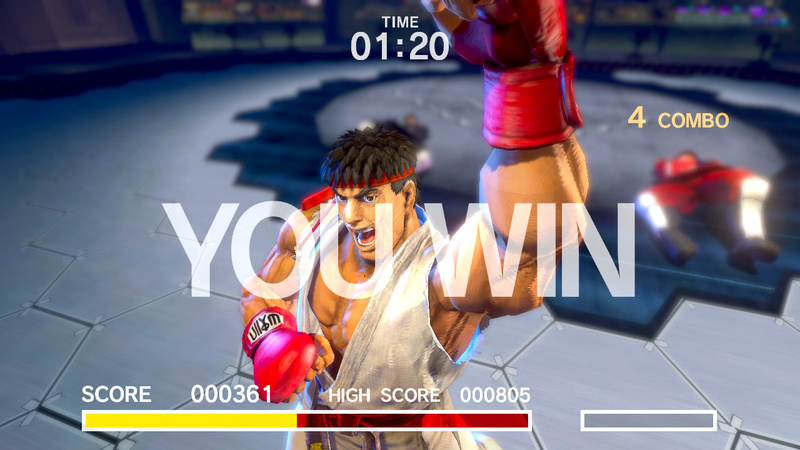 Ultra Street Fighter II may just be another version of a game that has been played to near-destruction on multiple formats over the past 25 years, but it's impossible to shake the feeling that it will find an audience on a system like the Switch, whereas it may have been met with hoots of derision on rival consoles. Ultra Street Fighter II: The Final Challengers launches on Nintendo Switch on May 26th. I just hope this sell well enough so Capcom starts bringing everything on Switch. I am almost certain a new "Monster Hunter" at e3 for Switch is a reality, but I wish for Marvel vs Capcom and many others, even old 360/PS3 games. Heck, Id buy "Ultra street Fighter IV" on Switch on the spot. Eh, not too surprising. I had this on preorder at one point, but I've cancelled it since there was another game I wanted that looked to be better for my value (not on the Switch, sadly). ...but I am hoping this game does well enough for Capcom to give its IPs another chance. 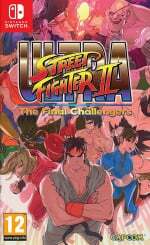 Considering I barely ever really played SF2 aside from the occasional match when it was still relevant on SNES/Mega Drive, I might pick this up eventually. Though I also have SF4 3D and barely even touched that, so I don't think I'll get this for full price, if I even get it at all. They should have skipped the "No way of the Hadouken" and lowered the price to $15.00 digital, $20.00 cartridge to make the sales figures they really want. Hopefully Capcom can see that we still want our Darkstalkers and Power Stones as well after this game. @Shiryu I really hope Capcom does not gauge interest in their catalog based on reception of this title alone. @Shiryu "I just hope this sells well enough so Capcom starts bringing everything on Switch." I wouldn't put my hope for future ports in this game that's for sure. :: evil ryu and violent ken didnt feel like new characters?!? heh, honestly, I felt like they were hyping that up and advertising it like it woulf be something mind-blowing. Who knows, maybe they could put in some sort of DLC for some "new" characters (in the same way they did with SF4). 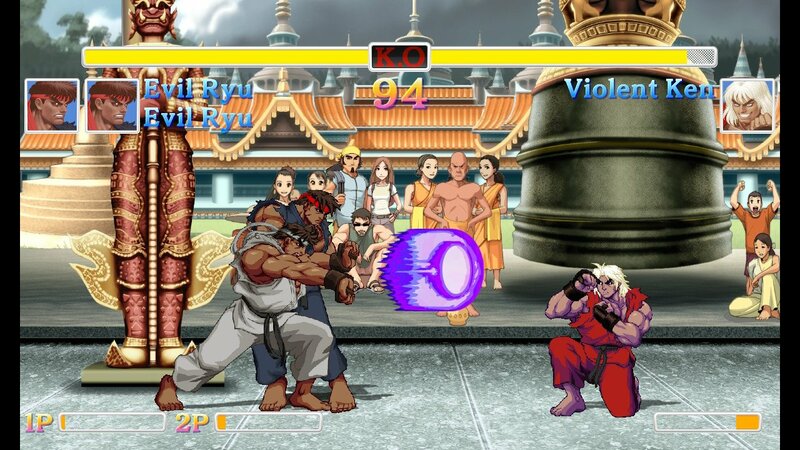 What I THINK they should've done to make this the "Ultra" version is add in the mechanics of SF 2 Anniversary edition. That was a pretty cool concept to pit a character like turbo Chun-Li against Super Chun-Li who both play VASTLY different from each other. I'm still going to get it, but there isnt anything that NL said about this preview that didnt seem like it would be true. Here IS hoping for a fully loaded version of SF4 or SF5. With the ridiculous embargo details on USF2 set by Nintendo, it has warning alarms firing off in every direction. Remake SF Alpha 3 , Capcom ! Street Fighter 2 is my all time favorite fighting game. I'm taking the day off work to celebrate and play Street Fighter 2! Wouldn't adding animation frames affect the gameplay, though? @Proust I have no problem with re-releases, as long as they are not 'full price' without 'significant' extra value. This seems like it will be the same old game with tacked on gimmicks for the most part. Perfectly fine for a cheap pick-up, but not at the price they seem to want. A SFIV re-release with SFII as a bonus add-in would have been acceptable. Everything old is new again in a way. And to me that's a good thing. The design of the Switch just works. There's many an xbox game that I don't want to sit in front of a tv to play and I would for one reason would like to try on Switch. Resident Evil, Dead Space, NBA 2K, Injustice, etc. I have these games on Steam and Xbox and just don't play. Switch is just making everything unique with the setup and making it feel premium. I've got to get one soon. This looks gorgeous and I'm grabbed by it, but it's just too pricey at the moment. £20 for digital and I'd be really keen. Yawn. Let me know when the Switch actually starts getting new games. I'm getting this only because of the advantage of spontaneous tabletop multiplayer and the fact that some of my friends would really enjoy this while I take my Switch out and about. I have no interest in the game otherwise. It looks like an eShop-tier release that should cost no more than $20 (like Super Bomberman R before it). It's ridiculous that the 3DS launched with the more impressive SSF4 while the Switch gets a port of an even older Street Fighter a few months after launch. The very nature of the Switch means that a lot of unappealing games have some added value due to the versatility of the hardware. There's no way in hell I would have bought a SF2 port had it been released on 3DS or Wii U. Maybe it's because I'm just not a huge street fighter fan, but this doesn't equate to $40 worth of content to me. Looks like $20 max. I'm buying it because it's a "big" fighter and as a non-fan of fighters if I'm going to get one it's probably the one to get. But I don't expect much from it, and it's a slightly embarrassing game for a Swith title. It does play to the "Switch is an arcade cabinet in your pocket" motif we've got going on though. Still, I'm grateful that Disgaea launches a few days prior and Arms a few weeks after. But we need more in the summer timeline. Shantae and Sonic Mania might fit that bill. I'm having mixed feelings about this "review" hehe. You sound just sooo disappointed with the game, yet thinks it will sell either way because of the nostalgia factor. Why they didn't just focus on actual fighting usage of the polygonal models is beyond me. Come back when we get either Street Fighter VI or a port of V, Capcom. @Dr_Corndog If animation looks jerky, adding more frames won't have any effect on timing - it will just make it look smoother. Some credit due to the author for mustering up more words than, "Well, it's Street Fighter II, innit". Because really, it's Street Fighter II, innit. With added waggle-balls, plus 'Grumpy Ryu' and 'Passive-Aggressive Ken'. 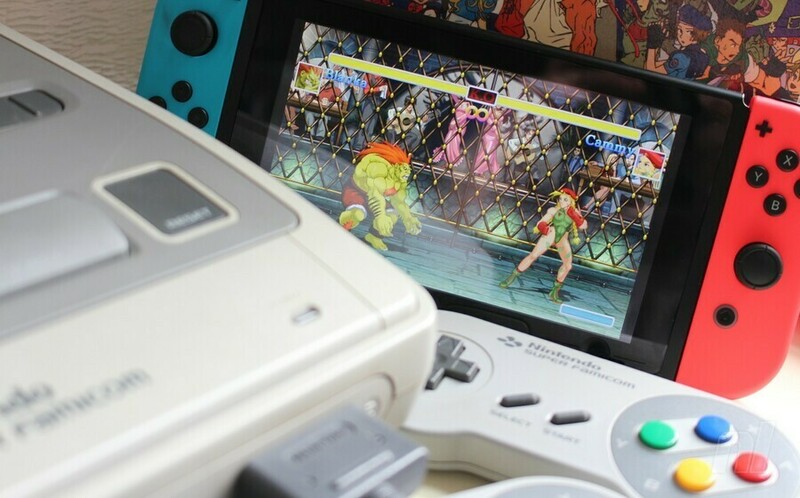 I'm sure fighting fans will be glad to have the game in both portable and home console versions (although the lack of proper D-Pad might make the portable option less appealing for true die hards), but really... well, it's Street Fighter II, innit. You'll probably know whether you want it just by looking weighing the name up against the price. I'd pay £15 but not more. It sounds like the core game is the same so I can get it and play much cheaper on 3DS or Vita and their D Pads are better for fighters. I hope Switch gets Marvel came Capcom infinity. Underwhelming graphics (from all points of view), high price. Sounds like a tank. Even fonts looks like taken by a shareware software of sort. Slice that price tag in half and maybe I'll consider. Better yet, put another SF title on the console. I vote for Third Strike Online. Quite stupid. The "hado training" use the same engine of Street Fighter V, meaning the Switch can handle this. So, why not port directly the V instead of the 2 ??? Very stupid and useless for me. That new mode is probably why the game cost more than it should, not to say 40 dollars is a bad price. It's still very affordable imo. Anyways.. I'm still buying it day one. A cheaply-made, ludicrously-priced cash-in. Switch has loads of great games but the eshop is where it's at, retail is underwhelming. The likes of Fast RMX, GEM, Kamiko show up this game, Bomberman, 1-2 Switch as really poor value. I have no interest​ whatsoever in this with Thumper out next week and Disgaea 5 the week after. I want to support third-parties and I am doing but there are limits. Not for me. Was never good at the fighting games, could never pull of the special moves. I have this boxed with my SNES. I also bought it on the 3DS at launch and confirmed some 20yrs on that I still can't play these type of games well. I hope they drop the price, like, by a lot. This game release feels targeted at a different system than the Switch is becoming. Does that make sense? A proper port of the modern game along with the old game as an extra seems much more sensible. Or this as a spin-off to the main one... at a lower cost rather than the extra features few will enjoy. Some will love this, though, I'm sure. Thankfully Nintendo were good enough to offer discounts on the VC, so The New Challengers was only £3.50. None of the additions in Ultra interest me, TBH. A good thing Arms seems to be taking a advantage of this by allow to customize characters weapons and unlock/make builds. I am intrigued, but I am extremely put off by the new HD artwork. The style just looks so amateurish. It's really striking how much better and more cohesive the "old" look is compared to whatever they did with the update. I have my doubts that I'd pay full price, but maybe when it goes on sale at some future point. BTW I let out a hearty laugh at, "... that there are probably undiscovered tribes in the Amazon rainforest that are sick to death of Street Fighter II." Well done! Sounds terrible. A $40 port of a really dated fighting game with poorly implemented bonus features. I'll stick with ARMS and the inevitable Smash port if the former turns out to be worth the money. Oh, and hopefully a port of Dead or Alive 5: Last Round. @Ebefren V won't see s release on any other console as Sony helped with development costs. @ReifuTD I hope "ARMS" turns out to be a second "Splatoon": Overnight success with huge community and events. I already have HD remix. Please wait to use a new fighter, like Marvel vs. Capcom, to guage interest. @retro_player_22 Agreed, the Darkstalkers collection was good and needs another chance with it's poor sales. Power Stone I'm thirsty for anything at this point. @retro_player_22 I gladly buy a new powerstone game. This was to be expected, after all, the one thing Capcom are known for is again and again rehashing their own games and releasing dozens of different "versions" that are almost the same. Late night Power Stone sessions used to be a good way to piss off my neighbors... looking forward to the giggles when it will knock at the door again soon ! So it's disappointing? It's not like I had been saying that since the very moment this game was announced or anything. Despite these shortcomings I'm still buying it. I must have ALL the Street Fighter games u see. I've wished for a portable version of SFIIHDR for years so it's a dream come true for me. I think I've bought and played enough Street Fighter for one lifetime, especially since this really has nothing new to offer beyond being portable. @Anti-Matter This is what I'm been thinking all the time, I will get this game for sure just because I love SF, and want to support capcom, but if they remake the entire Alpha series, or even Capcom vs SNK, then I will buy them multiple times, probably my favorite series are those and HD graphics will make them awesome! 50 Canadian dollars is a joke for this game. Even if it's good! Oh Hyper Fighting fans are going to be sooooo Salty... again. if they remake the entire Alpha series, or even Capcom vs SNK, then I will buy them multiple times, probably my favorite series are those and HD graphics will make them awesome! They wouldn't do that. It took them too long just to redraw every character from Super Street Fighter II with its 1991 animations. So fans cry out for physical releases of digital games but when it actually does happen, the high cost puts them off? Make up your mind, people! If Ultra SFII was a digital only game, it would be a lot cheaper. I'd love to own it, but I still think it's overpriced for what you get. Just a note, buying a game specifically to support a company is usually a foolish endeavor. It can make a difference if you're buying some small-time indie game with under six-digit sales, but for a big company like Capcom your "support" is a drop in the bucket that will never amount to anything. If a game is popular enough to warrant further titles, your singular purchase will never have anything to do with that. Maybe don't purchase it for that reason. @NEStalgia The 3DS is my arcade in a pocket thanks to M2! By asking for physical releases, we are not necessarily agreeing to pay whatever they ask for any game. I'd love to get my hands on a Mother SNES physical copy, but I'm not paying 750 dollars on it. @Zebetite same, I don't think I'll be bothering with this one. I played so much street fighter 2 and mortal kombat when they released back in the day on my sega Genesis that I never bought another fighting game until tekken released. Loved tekken on the psone and tekken tag on the p2 but after those I was burnt out with the fighting game genre. I did buy injustice and enjoyed it but street fighter 2 and mortal kombat were the only entries I ever cared about. Id be more interested in capcom porting devil may cry, resident evil, and other ports from the 6th generation but I will admit that I would rather have street fighter 2 than a newer version on switch. @khululy Maybe, but the Switch with the tabletop mode and dual controllers really is like a true pocket arcade on the spot as far as vs. fighting type games go! (insert d-pad complaints here.) The hardware really lends itself to the role....they'd make a killing with an arcade cabinet accessory. With that said, Having Super bomber man R and Ultra street fighter II gives the switch a bit of that early whirly'snes flash backin nostalgiac goodness. 😎 SUP! Where is my optional d-pad for Switch on the go, for games like this? Why haven't any third-party company already made a d-pad Joy-con, when Nintendo apparently doesn't care? I think it would sell very well. In reponse tontheir statement, so glad they didn't bring SFIV; I really don't like the 3D artwork in that title or SFV. SFIII however has stunning pixelated graphics with so many frames its a work of art in motion. I don't play fighting games but loved watching them. 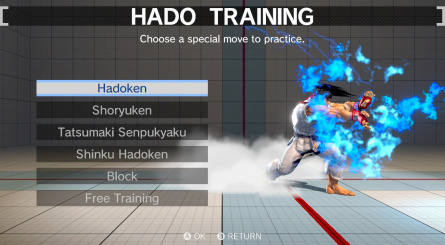 "The most positive thing we can say about the Way of the Hado mode at this juncture is that the 3D visuals are excellent - in fact, it makes you wonder why Capcom didn't consider porting Street Fighter IV to the Switch instead, as that title would arguably have had more impact from a purely visual perspective." This is the most important part of the entire article. Sadly many will simply shrug it off. These are the things we should be questioning. And this surprises who now...? So, why get this over Garou? The only bonus seems to be the online play - which we'll all be paying subscription fees for come Christmas. Hmmm... Might still end up getting it! On the fence still. Especially for $40. Paid $65 for it 25 years ago! Bring on Marvel Vs Capcom infinite?? Online Street Fighter 2 is a day 1 purchase for me. It is admittedly overpriced for what it is. Street Fighter IV on XBox360 was a full blown addiction for me for a while. I hope this sells well and leads them to port SF5 or the new Marvel Vs Capcom infinite. I just wish they had of not bothered with Evil Ryu and Violent Ken, they seem like filler. They are but its better to have them than not to have them. Still expect this to sell well anyways, despite it being overpriced. I think I'd rather just buy KoF '98 for a fraction of the price if I feel like getting a fighter. I'd be MUCH more willing to spend the $25-$30 for UMvC3 on the Switch. I love a brawler. On my Vita I have Marvel Vs Capcom, Streetfighter x Tekken, Dead or Alive 5, Mortal Kombat and Injustice. I had this down for pre-order but I cancelled it earlier today (before reading this article). My heart is up for it, but my head is telling me to expect disappointment. @Damo Not necessarily. Timing in fighting games comes down to the individual game. At the very least, it would throw off SF2 veterans. 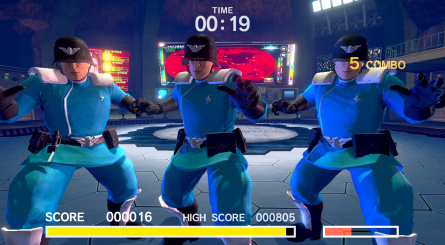 @Dr_Corndog Put it this way - say a move in SF2 takes a second to perform and has three frames of animation. Adding in five more frames of animation (so 8 frames in that second) will make it appear smoother but the time it takes to perform won't be increased. Case in point - look at how smooth Ryu's animation is in SF3, but the timing of his moves is the same as in previous SF games. "Why haven't any third-party company already made a d-pad Joy-con, when Nintendo apparently doesn't care? I think it would sell very well." I was thinking of this very thing just this morning. I think Nintendo has a very significant market for "specialized" JoyCons with different button configs. The ability to swap out the left Joycon for a "Fighter's Edition" Joycon would be extra nice. Considering how much room there is below each Joycon on the Switch stand, I can also see making longer Joycons to spread out and enlarge the buttons, too, even putting the L&R buttons on the pad so you can have a true six-button fighting config. We'll see. Lots of possibilities. The 'new' characters are my only complaint. 'New' color palette, sure . ...Am I the only person around here excited for this game? Also has anyone gotten any confirmation as to Claw being able to wall climb in his stage in game? I keep getting conflicting reports. On a technical level the visuals are more advanced in SF IV/V but man the character art style is fugly. I miss the old Capcom . All went down hill after 2005. @Ryu_Niiyama "Oh Hyper Fighting fans are going to be sooooo Salty... again." A Symptom of high sodium count includes Hypernatremia. If you or your loved one is suffering from Hypernatremia, please ask your heath care provider if Water is right for you. Water will cool down symptoms of rage quitting, improve mood, and restore brain cognition to its normal sane self. Side effects may include going to the restroom a lot. Please ask if water is right for you. @CosmicLight lol, good one! Although if you said that on SRK you would just get cursed out. Also there is no cure for rage quitting. That is a clear indicator of evil inside.... They couldn't control the satsui no hado. @Bass_X0 I had always hoped capcom would get UDON to run with this and do remakes of all the old franchises. Impossible I know but a girl can dream. @Ryu_Niiyama Lol, cursing me out don't know about that. I've been making jokes about people on another site and they just been laughing instead of cussing me out. I made a joke about a guy being heavy into Anime and he laughed. Funny how the 'it's not a port, it has new features' crowd have gone quiet. Like I said originally, this game would be £20 at most on other consoles. @Jack_Goetz Two new characters (one that has never been playable), balancing and tech throws. But I don't really have much to say since I'm just waiting on my copy to arrive later on this month. I'm going to wait to get this, simply because it's pretty basic. I'll get it eventually, however. Then again, last time I said this MK8D had just released, and I currently own that game. Maybe this could have sold well as a launch title, but by now I have like 5 fighting games for Neo Geo, which were newer and more advanced games to begin with...and cost me a hell lot less to play on my Switch. Street Fighter 2 was good in 1991, but Mark of the Wolves from 1999 obviously beats the *** out of it. Switch cartridge prices are ridiculous and it's going to hurt the system in the long run. Sadly the majority of gamers (not the kind who frequent sites like this- we are the minority) have no idea about the eshop etc. None of my froends would ever think of buying a digital game for their PS4, switch etc. So garou mark of the wolves 6.99 or this rip off £35. I've already spent my money and will get thumper with the rest. Again most people I know say they won't be getting a switch due to the difference in game prices- puyo puyo being the prime example. I mean bomberman at £50 it's mental! On a plus- I'm loving the weekly eshop releases myself. @Ryu_Niiyama "to be honest they don't feel like fresh additions; both have previously appeared in other titles and they naturally control very similarly to their non-possessed counterparts." For me, that proves this game isn't worth the price of entry as the two 'new' characters is all I was interested in regarding the new additions. @Masurao That's a good point, I;d been putting off buying the Neo Geo fighters in favour of this, but now I can use the cancellation funds on them instead. @darthstuey Switch cartridge prices will likely come down quite a bit as more of them are manufactured, though they will never be as cheap as optical media to produce. That day should come sooner than later since the Switch will likely sell well over 10 million its first year on the market. It's too bad that Capcom only put minimal energy into the game. The 3D mode should have been replaced with some more innovative features in the 2D fighting mode. @Aerona HD Remix was a poorly balanced mess. From what I hear, Capcom went back to the drawing board to NOT throw everything out this time. If nothing else, this might end up being the final, definitive SSF2T since the community outright rejected HDR. @Ryu_Niiyama You're not the only one, I can't wait to get it. I don't care if it's an old game, it's one of the GREATEST old games. I don't see this being any different from buying a remastered version of Das Boot or the Wizard of Oz on Blu-Ray - unless you already own it in a different HD format, the movie is still brilliant and worth the money. Why people need to moan about price point, weak port of an old game and disappointing features etc is beyond me. 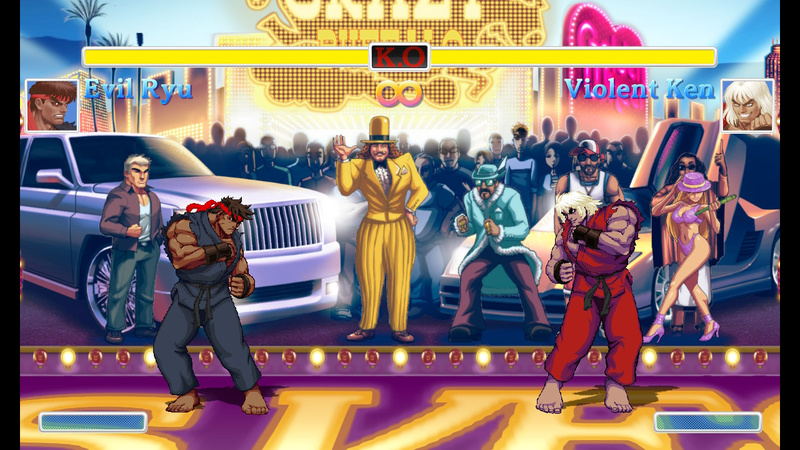 Street Fighter 2 is an absolute classic and this version is going to be great. The fact that there is an actual physical reelase of this to me is amazing. Hopefully Capcom will bring us more. Like I said originally, this game would be £20 at most on other consoles. It would also have been digital only on other consoles. When a game is released on disc or cartridge, you have to pay the manufacturing, shipping, and the store's own profit regardless of actual content of the game on the disc or cartridge. And the stores don't like to be undercut by digital games so digital games have to cost the same as a physical release even when digital only would be a whole lot cheaper. @Damo If the hurtbox appears at the end of the last frame, then yes, that would work. However, if it appears between 0 and 1 second, then it would get messed up, at least in your example, since no number between 0 and 1 can be written as a proper fraction with denominator 3 AND as a proper fraction with denominator 8. It could work, though, if they went from 3 frames to 6 or 12, say. This thread is way too negative. This game was announced before the Switch's popularity was clear, so Capcom took what they thought was a safe game to port over and add in some new stuff to spice it up. I for one haven't played a SF game in spades since SFII, so this 40 year old is looking to enjoy some nostalgia for sure But its good to see younger kids, below, even SF pros, also enjoy the game. If SF IV or V came to the Switch, I would have zero interest, so clearly this is targeting older gamers who were young when SFII first hit. The same way the Mini NES was supposed too...its all part marketing and part making games that appeal to a certain audience. @Ebefren Isn't SFV a "console-exclusive" of Playstation? Why start now? You should catch up on all the other games you missed. I most likely will if this game gets me back into the genre. I hope it's good!